There was a sneak peek yesterday and today we get the full reveal for Adi Granov's variant cover for DAREDEVIL 600! 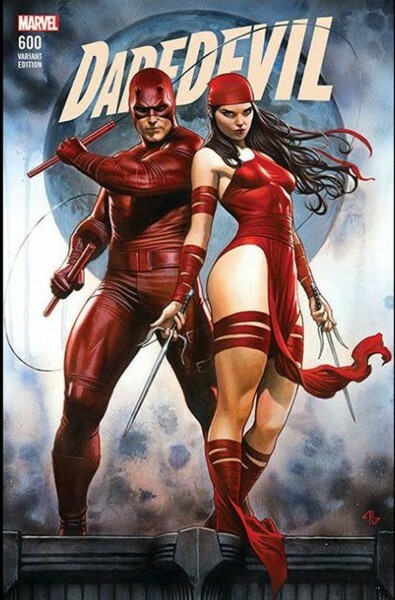 Available on Monday March 12, there will be a regular, "virgin" and convention cover featuring Daredevil and Elektra. Only 200 copies of the convention cover will be sold online.